5. Application Process: SMS and Online are two system can apply MATS and IHT. Confirmation Reply: Congrats! 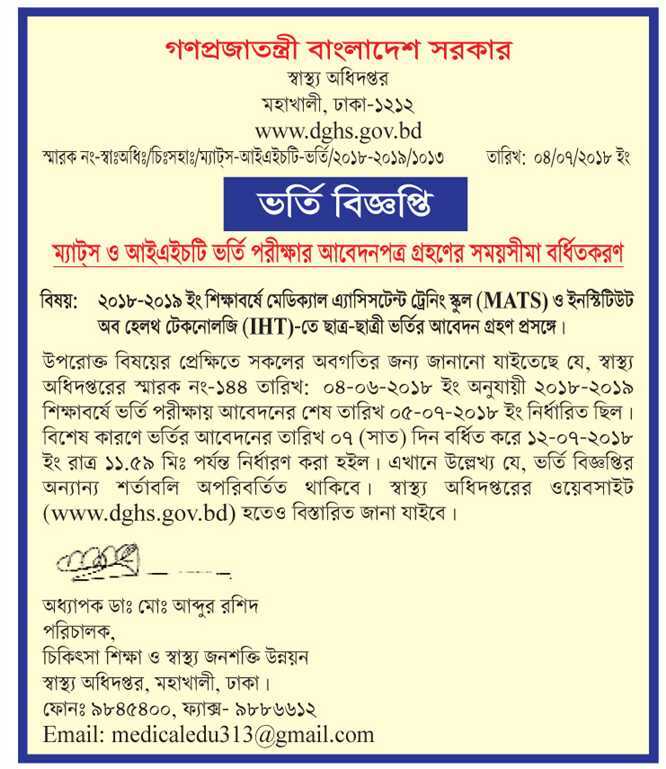 Fee received successfully be for General of Health Services (DGHS) Council User Name (GLASYSKEK) AND Password(a2rsss7su). b. Go to http://dghs.teletalk.com.bd and Input your User ID and Password. d. Print copy color print. 4. Teletalk prepaid has a balance of minimum Tk. 700/-. 8. 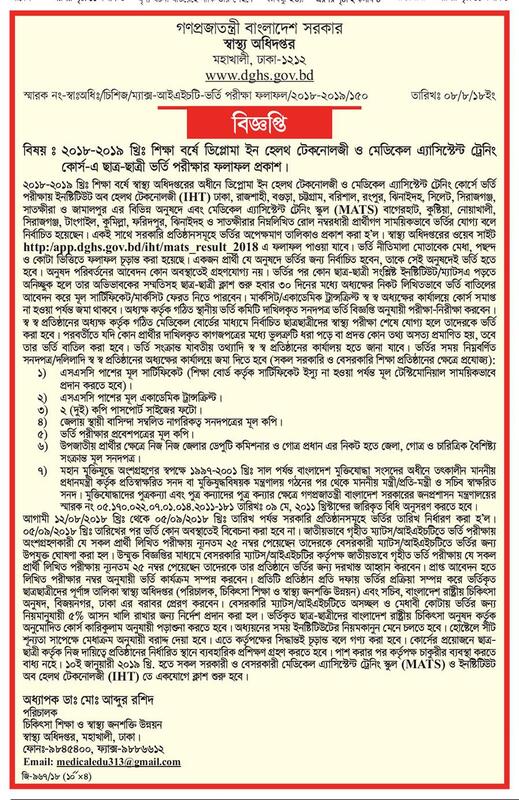 Applicant district, tribal quota, Eligible for freedom fighter quota, Present address and permanent address Be careful to write. Because something wrong will be canceled ‍application. 10. College choich option add your choich college. 11. Type validation code and submit appliaction. 13. Finally color print this copy and colect USER ID. It's very important because This user Id give TeleTalk SMS to pay money. 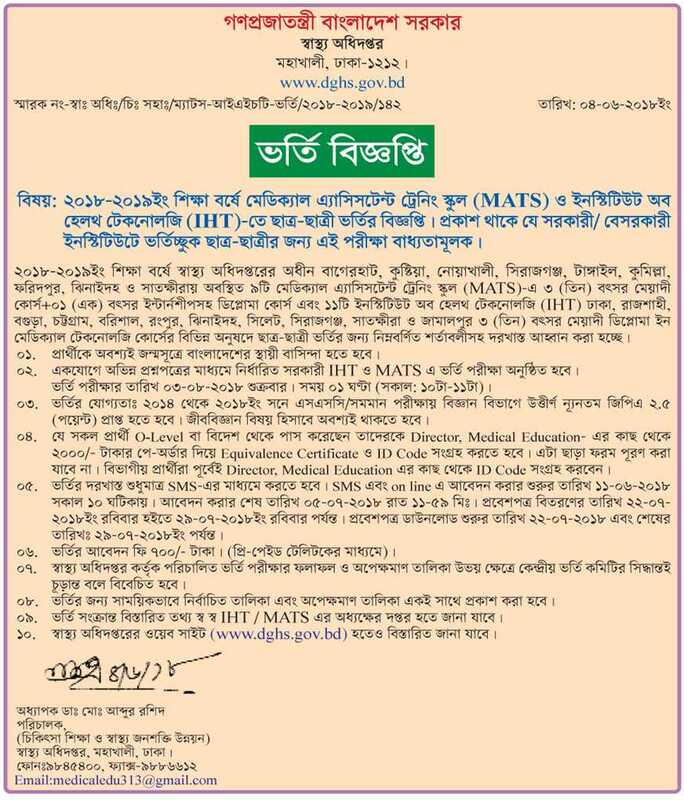 To Pay MIHT/MATS Admission Fee Via Teletalk Mobile Phone. Please follow below the Instruction. 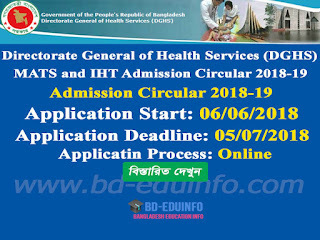 Directorate General of Health Services (DGHS) authority Medical Assistant Training School (MATS) and Institute of Health Technology (IHT) Admission Examination Center and Test Seat Plan will publish Bangladesh Nursing and Midwifery Council official website http://dghs.teletalk.com.bd/ and http://www.dghs.gov.bd/. 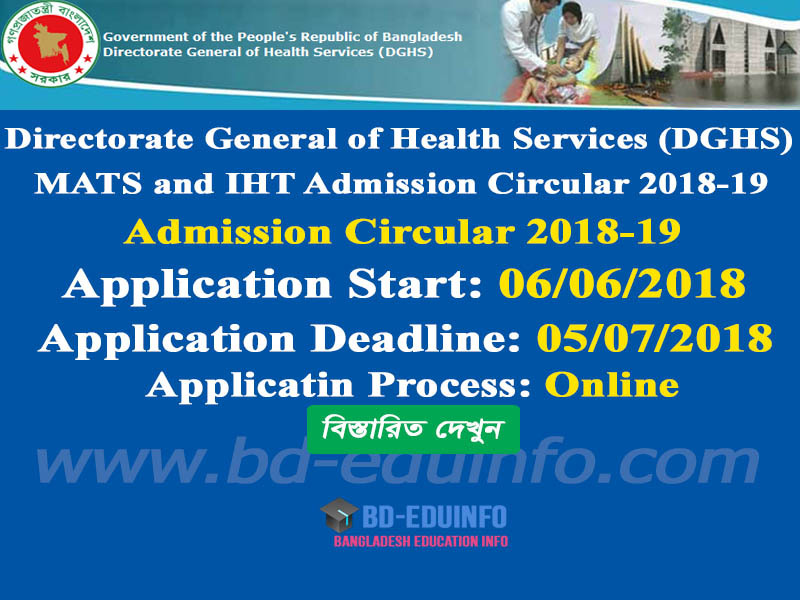 Directorate General of Health Services (DGHS) authority Medical Assistant Training School (MATS) and Institute of Health Technology (IHT) admission result publish on official website http://www.dghs.gov.bd/. Tags: www.dghs.gov.bd, www dghs gov bd, dghs.teletalk.com.bd, dghs teletalk com bd, doctor assistant, medical assistant diploma, medical assistance, medical assistant course, medical assistant training, medical assistant certification, medical assistant, medical assistant training course, medical assistant training school, online medical courses, medical assistant description, medical classes online, institute of health technology, population health management, health information technology, health informatics, healthcare it, healthcare, health technology, ims health, institute of health technology mohakhali dhaka. www.dghs.gov.bd, www dghs gov bd, dghs.teletalk.com.bd, dghs teletalk com bd, doctor assistant, medical assistant diploma, medical assistance, medical assistant course, medical assistant training, medical assistant certification, medical assistant, medical assistant training course, medical assistant training school, online medical courses, medical assistant description, medical classes online, institute of health technology, population health management, health information technology, health informatics, healthcare it, healthcare, health technology, ims health, institute of health technology mohakhali dhaka.